The Walking Dead made its mid-season premiere with “The Suicide King” this week. After all the excitement leading up to the break, this episode kind of felt a little like an anti-climax. That doesn’t mean there wasn’t good stuff in it, but it didn’t have the intensity of the previous episodes. The show is building up to a war between the people of Woodbury and Rick’s group. “The Suicide King” spent time putting those pieces into place. The episode definitely did conclude with a bang, more on that later. 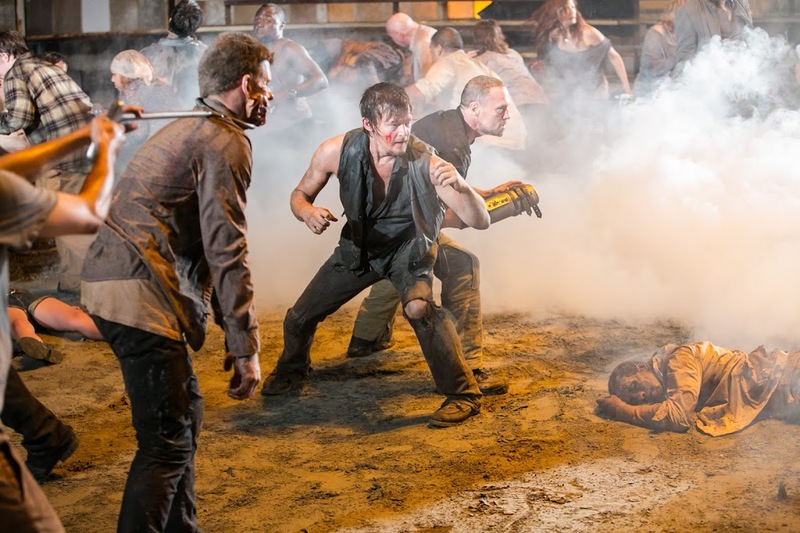 When we last saw everyone in “Made to Suffer,” Daryl (Norman Reedus) and Merle (Michael Rooker) were about to face-off in the Governor’s (David Morrissey) gaming ring. 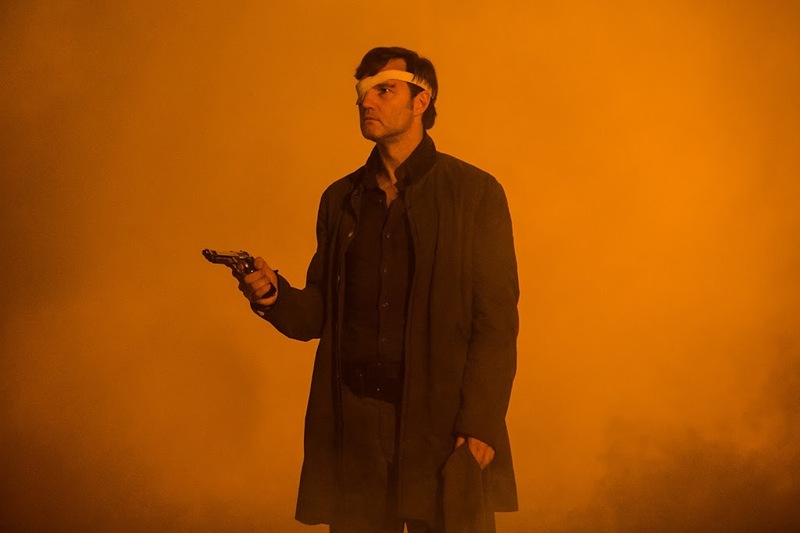 The Governor wants the brothers to fight to the death, with the victor given the chance to go free. Just as the fight began, Maggie (Lauren Cohan) and Rick created a distraction that resulted in everything erupting in chaos. 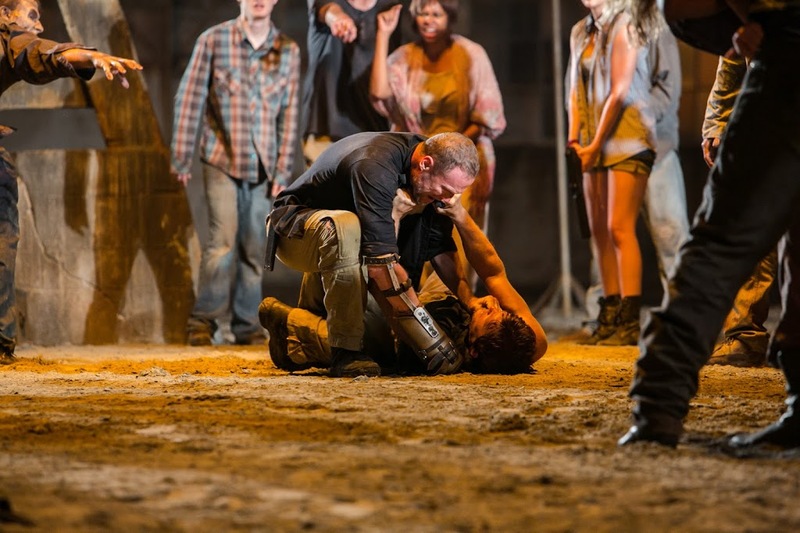 While the chaos was pretty cool to watch unfold, I thought the showdown between Merle and Daryl was ended too quickly. We almost immediately learned that Merle had no intentions of killing his brother. Perhaps I wouldn’t have felt that way if the subsequent events hadn’t played out the way they did. Merle presents a major problem for the group. Neither Rick nor Glenn (Steven Yeun) are anxious to have Merle back with them, and Maggie and Michonne (Danai Gurira) don’t want him around at all. Conversely, Rick doesn’t want Michonne around either, so her vote doesn’t even really count. Daryl, of course, wants his brother to come back with them. When Rick refuses, Daryl takes off with Merle. It was so abrupt and so disappointing. Not in terms of the storytelling, but in terms of the character. Daryl had slowly built himself up as being a man of honor. It seemed as though he considered the group his family. They certainly treated him better than Merle ever had. To see him walking off arm-in-arm with his brother was a letdown. It seemed as though he didn’t give a second thought to how the others would feel about him leaving. He suddenly didn’t care about the danger he was putting them in. It was as if he forgot he was truly needed by them. Don’t get me wrong, I’m not saying they shouldn’t have done it this way. It was just hard to watch. 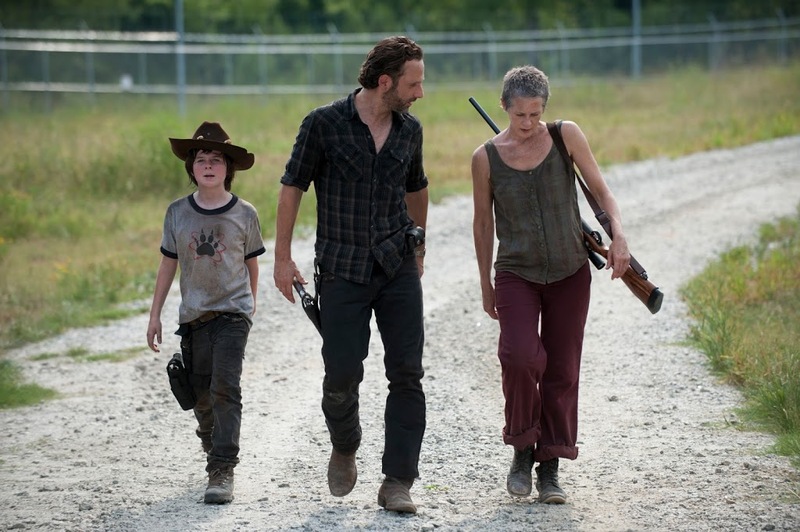 Carol (Melissa McBride) later compares the relationship between the brothers to her own relationship with her abusive husband. It was an interesting comparison, but one I thought worked. Merle clearly had a power over Daryl that Daryl himself did not even fully realize. Despite their long separation, Daryl still felt as though he owed his brother his loyalty. I have a feeling Daryl will have a change of heart at some point. In the meantime, things start playing out at the prison and Woodbury like parallel universes. Rick and the Governor both seem to have gone off the deep end, and yet they are still in charge. It’s a dangerous situation all around. Not surprisingly, Rick was not too happy to see newcomers in the prison. Though he drove off Tyreese (Chad Coleman) and his crew in this episode, I hope they will be back. The gang could certainly use the help. The Governor also wasn’t dealing with the situation in a rational way. He suddenly hated the idea of the idyllic town he had created. His mind is only focused on vengeance. While I was at first disappointed in Andrea (Laurie Holden) for staying in Woodbury, I was glad to see her take on a leader role. I thought she was going to stand by the Governor, but instead she tried to rally the spirits of the panicked townsfolk. It does seem like she still has hope that the Governor will do something good, which is stupid on her part, but at the very least she did something on her own. I thought for sure she would go back with Rick, but she seems to still believe in the idea of Woodbury. This brings us around to the ending of the episode, which was pretty intense. What caused Rick to snap, driving out Tyreese and his group? The ghost of Lori (Sarah Wayne Callies) appeared on the balcony above them. She didn’t say anything. In fact we couldn’t really see her clearly – so I can’t even say for sure it was even Callies playing the part. It was just a shadowy figure in a white formal gown looking down on Rick. What is her message? Rick seems to think she is judging him, and possibly punishing him for letting her die. I don’t know at this point. What I do know is that Rick is not really fit to lead the group, yet he is still in control, just like the Governor. It’s a ticking time bomb of a situation it seems. While this episode was not quite as involving as the previous third season highpoints, it was a good setup for what’s to come. I like the idea that Rick is haunted by Lori. I know this is an element from the comic books, but as a non-reader of the series I really don’t know where it will go. I suspect even readers of the comic books may be surprised, since the writers make a conscious effort to not follow the storylines exactly.